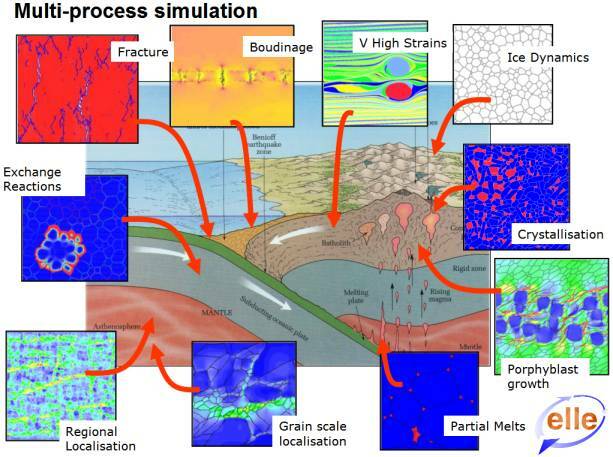 ELLE is an open-source multi-process and multi-scale software for the simulation of geologic processes, especially (but not only) during deformation and metamorphism. Please have a look at the publication list and examples to get an idea of what ELLE can do. You can also have a look at the book Microdynamics Simulation. If you want to contact the team of developers please send an email to info@elle.ws.